When my boys were growing up in the Old Country, I told them to "walk like ducks" in a line when someone was approaching from the opposite direction on the sidewalk, to avoid driving the oncoming person into the street. During one son's service in the IDF, his commander told the young men: "If I ever get on a bus and see you sitting while an elderly person, a pregnant woman, or a person with an infirmity is forced to stand, you will have to answer to me." 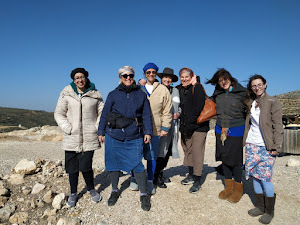 When I first started traveling in Israel, I was in awe of the way young women would discreetly get up out of their bus seats or from the bus stop bench when an older person approached. I see these midot less these days... but you are right: I still see people showing proper manners. When they do, I encourage this to continue by saying to them (in Hebrew by now, I'm proud to say): "Tell your mother she did a great job with you." I love the smiles I get in response! Most of the time people are wonderful here. And if they're asked they jump up, but these American girls acted with so much "entitlement," as if they were doing everyone a favor by even taking the bus. That man was incredulous that religious girls could be so oblivious and insensitive. sefer to its proper place. collecting and putting back all theseforim. In Europe, we had kavod for the seforim. 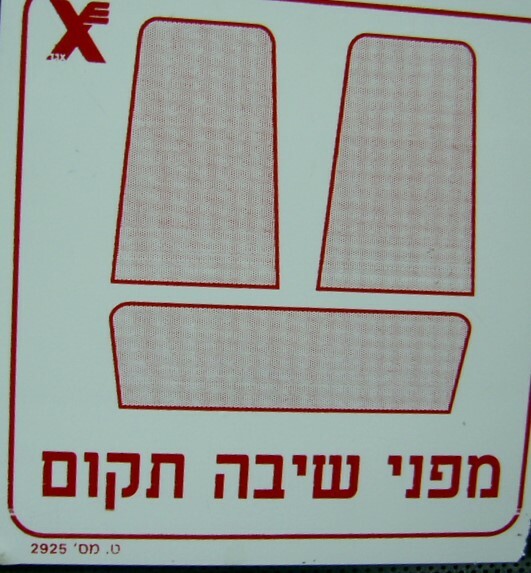 of Orthodox Jews in the late 20th century. 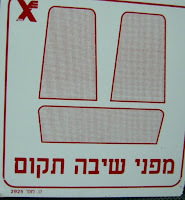 I like that sign in the Israeli buses. In London, they have a few seats per tube car with a sign above them that they are for elderly or pregnant people. Generally here people are very good about giving their seat to an elderly or pregnant person. Those girls did a horrific Chilul Hashem- the worst sin a Jew can do. I have an even worse story. As you know Batya, I have Fibromyalgia and there is NO way I can stand up on a bus for 30 minutes from Netivot to Beer Sheva. 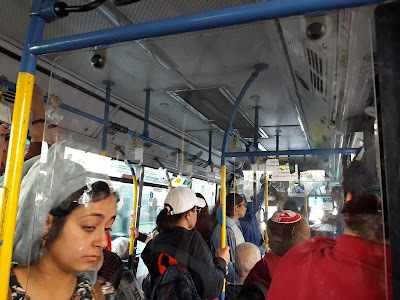 Well, at one of the last stops in Netivot an elderly Russian Jewess got on the bus with a head covering, and a gold front tooth. She had to be at least 70. NOBODY stood up. I got up and loudly said, "There are many soldiers here who may not have slept last night so what I am about to say is not directed at them. However there are many young people on this bus. I have a health issue that prevents me from giving up my seat to this elderly woman. Is there nobody who is willing to do so?" Do you know who was the only one to get up? A young BEDOUIN woman! I was so horrified as there were many teens and early twenty year olds sitting with their 'dumb phones.' 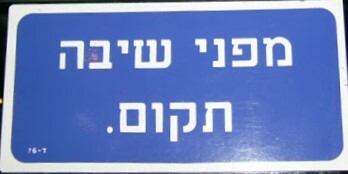 Hashem Ya'azor. When I get upset at things like this my husband reminds me that we taught our 5 kids proper behavior and I attempt to continue educating at my Ulpana but that I cannot change the world. 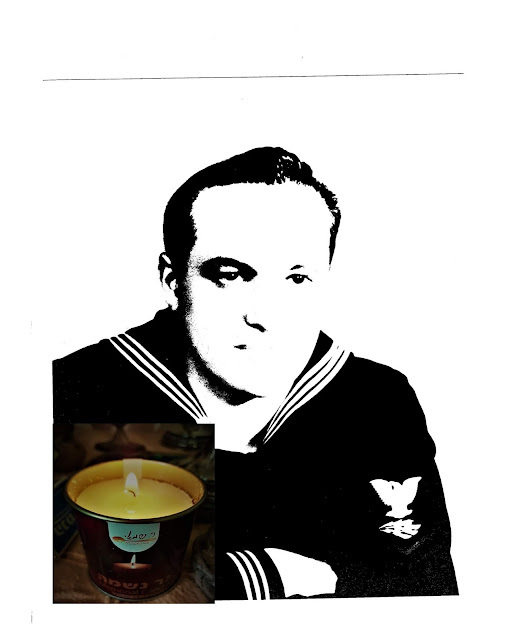 Excellent article Batya, as usual! It's getting worse, since many young people don't take public transportation when they are young with parents to teach them. They suffer nasty "entitlement."